We deliver low volumes of high-quality metal parts on time and at a competitive price. As a stamping parts manufacturer, we’re committed to meeting your exact metal stamping needs. We’re efficient and can customize nearly any part for your most complex, custom products. 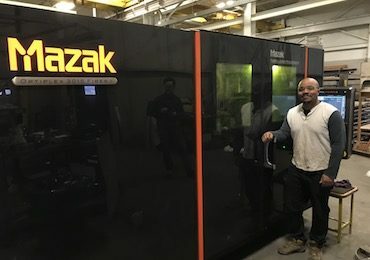 Looking for laser cutting in Cleveland that reduces costs and lead times? Our metal laser cutting services come with state-of-the-art technology that will ensure you get the most from your investment. WLS provides innovative metal fabrication and assembly solutions that are driven by lean manufacturing processes. We have skilled fabricators whose focus is always on customer satisfaction and product quality. We’ve been offering precision metal stamping services to hundreds of customers around the world since 1944, and the relationships we’ve built are a testament to our commitment to quality. 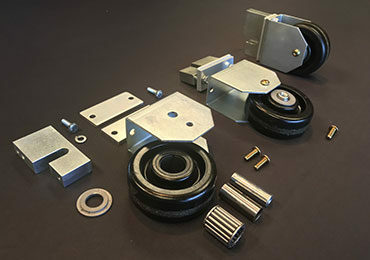 Our unique metal stamping parts are delivered with precision, and we’re committed to innovative, modern processes and the lean thinking methodology to keep costs down and quality up. With three short-run metal stamping and fabricating facilities (two in Ohio and one in North Carolina), our innovative stocking options guarantee your custom parts are available when you need them. We own and operate a full suite of machines, including 104 presses, four CNC punch presses and three laser cutters that allow us to work with materials and fine-tune designs in ways other short-run metal stampers cannot. We're committed to excellence and have the ISO 9001 and ITAR Compliance certifications to meet your exact metal stamping and fabrication needs. We recognize that the connections we make and maintain are what drive our business. Our average tenure with our top customers is over 20 years and counting. Our customers come first, and we work hard to foster customer loyalty by offering competitive pricing and customer service that’s impeccable and always accessible. WLS manages and manufactures your project from concept to completion. We’re constantly finding ways to make our manufacturing practices more efficient so that your products are cost effective and of the highest quality. What I look for in a metal parts supplier is: Quick turnaround and the product meeting spec the first time. I can think of nothing negative regarding WLS. Every interaction has been pleasant and meets or exceeds my expectations. Excellent supplier! I really like working with WLS Stamping. I understand that my project was technically challenging and also not a large order. I was met with enthusiasm and great ingenuity. 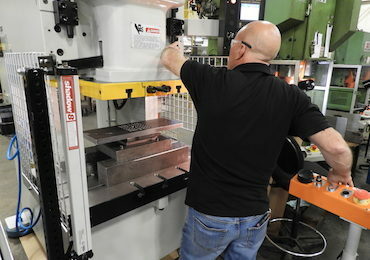 I was taken onto the production floor to see the machines and process. I would like to continue working with WLS on future projects. I am very satisfied with this project. Quality, good pricing, and timely delivery are what I look for in a metal parts supplier. WLS [offers] a very good product and service to us. As an expeditor for our Service division, WLS responds very well to any requests. WLS Keep up the good work! I have no disappointments with WLS and the people that I deal with. Been treated well, no complaints. From reviewing metal stamping designs to final delivery, we consult with our customers throughout the entire process. Our team works with customers across many industries, including aviation and aerospace, food processing, heavy equipment and machinery, telecommunications and more. We take pride in having the depth of experience and breadth of equipment to do every job right and to our customers’ exact needs.